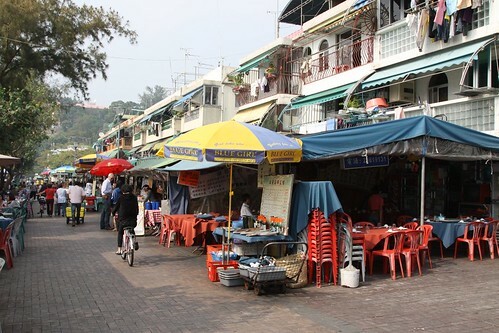 When westerners visit Chinese restaurants, the idea of a ‘secret’ menu that only Chinese people get is a common one – and on my last visit to Hong Kong I finally encountered one, on the popular tourist island of Cheung Chau. After wandering along the waterfront, we chose one of the many restaurants and sat down at our table. My Dad and my extended family all took the Chinese menus, while myself and the rest of my family from Australia took the English version. What ensued was what normally happens my family goes out to eat at Chinese restaurant back in Australia – my Dad points out something on the Chinese menu, the rest of us can’t find it on the English menu, so I ask him to point it out, we finally find it, and then repeat for every other dish. However this time there was a difference – the two menus had different prices on them! Dad: So we’ll have dishes [X], [Y] and [Z]. Dad: And by the way, I noticed that the prices on the English menu were higher. Waiter: Ah, yes, the servings for the English menu are bigger, that’s why they’re different. Dad: I don’t care what size they are, just don’t charge me the higher price! Octopus cards of Hong Kong: bilingual? 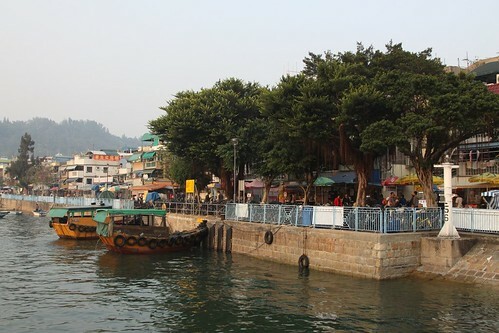 This entry was posted in Tourism and tagged Cheung Chau, dining out, Hong Kong, language, lost in translation, restaurants. Bookmark the permalink. That is true and it actually came up the news several times. Even when a member of the local council Mr. Zimmerman went there, they gave him the more expensive menu because he looked a westerner. I am not surprised. A lot of places do this though, let’s not just single out Hong Kong. You know the moment you don’t look like a local in some country that there is an increased chance of someone trying to fleece you. You’re right about it not just being a Hong Kong thing – it happens anywhere wherever tourists are found. I even been targeted by tourist scams in my home city of Melbourne on my lunch break from work, just because I had a camera around my neck! I should point out that I am not condoning what the owners of that restaurant did. Or the perpetrators of any tourist scam for that matter. Your father was right in challenging the waiter. Perhaps they might learn something from this.